World renowned overclocker, der8auer, recently made a compilation of performance test to review the stability and capabilities of the Intel X299 platform under heavy loads. 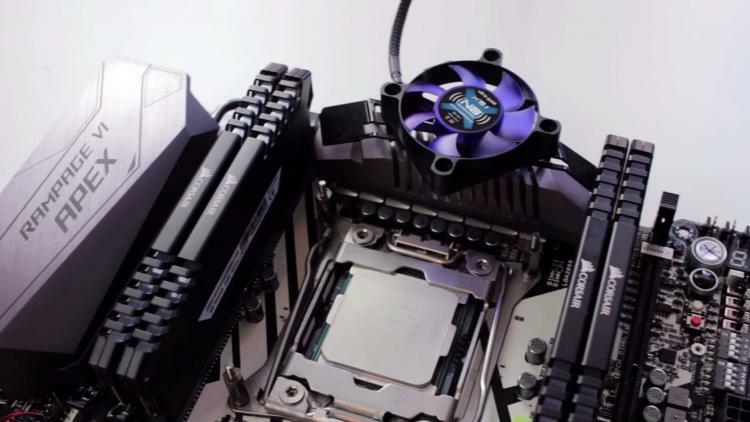 The overclocker found out that most of the Intel X299 motherboards offered by different brands today aren’t capable of handing the ‘worst case scenario’ setups due to temperature throttling with the VRMs overheating. He noted about the poor VRM heat sink design of most Intel X299 motherboards thus concluding them unfit for overclocking. His tests and observations can be viewed in his Youtube channel entitled ‘X299 VRM Disaster’. 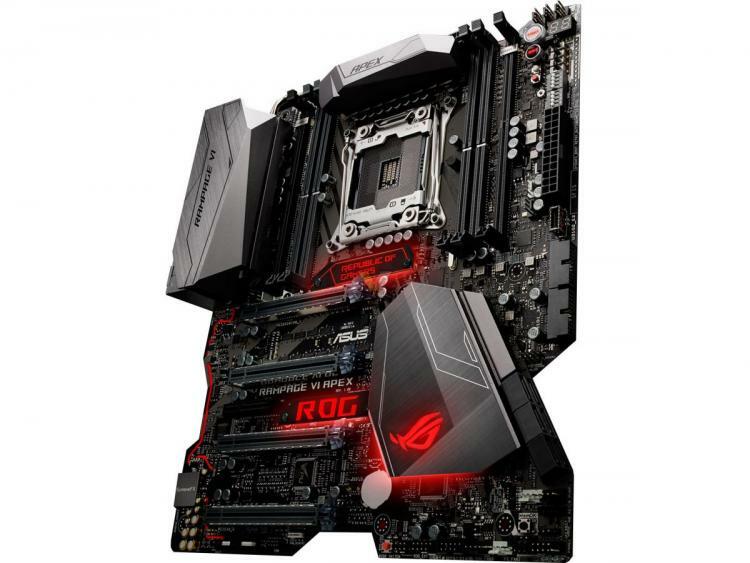 In light of all this debacle, ASUS answered the overclocker’s concerns by redesigning ASUS ROG’s flagship Intel X299 overclocking motherboard – the Rampage VI Apex motherboard. 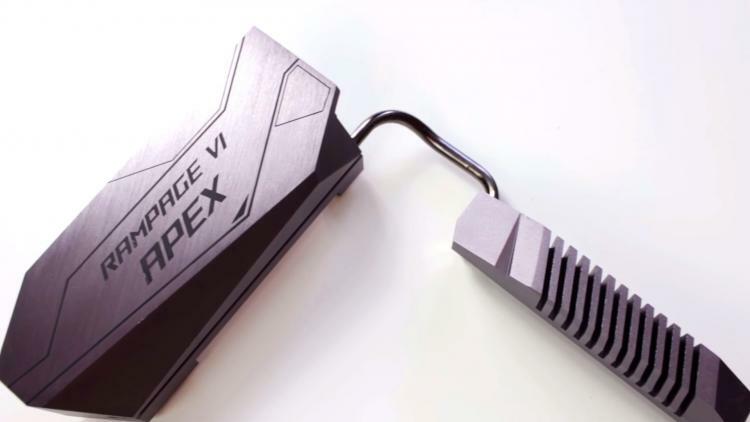 ASUS released a new VRM heat sink design for the Rampage VI Apex along with other improvements. With this, der8auer claims he was able to pull up to 340 watts on the VRMs compared to just 250 watts on the previous design and other X299 motherboards with the same issue. 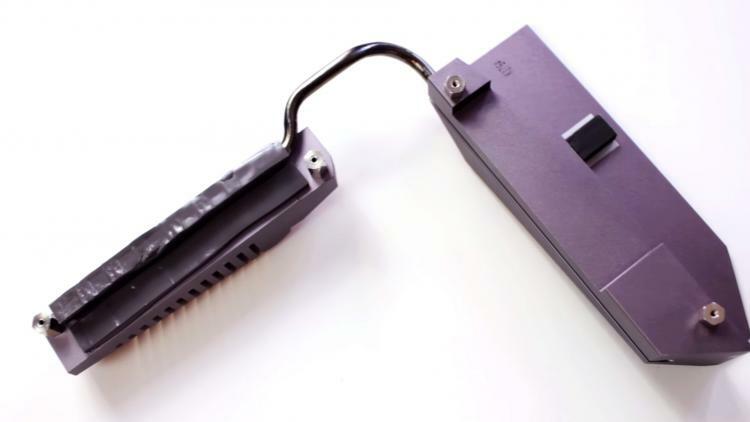 The new VRM heat sink design features more surface area and fins to dissipate heat faster and better compared to the previous heat sink design which you can see on the original model on the image above. Also, there’s a fan mounting area in the VRM heat sink to further increase the cooling capacity of the VRM heat sink with a cooling fan. Overall, the new design created a larger overclocking headroom for the ASUS ROG Rampage VI Apex motherboard. For more information on the Apex VRM Test and the compilation of videos regarding the X299 VRM Disaster, visit der8auer’s Youtube channel here.